Starry Eyes had been on my Netflix list for what seems like ages now. I first discovered it on a slew of horror sites I follow, with most of the consensus being that it's very good. Then when Netflix added it to their streaming site a few months ago I immediately added it. Yet every time I sat down to pick something to watch, I'd always pass over this one....I don't know why. I guess because I really didn't know too much about it and of all the positive things I'd read, none of them were all that enticing. But about a week ago I finally decided to throw it on, so here we go. 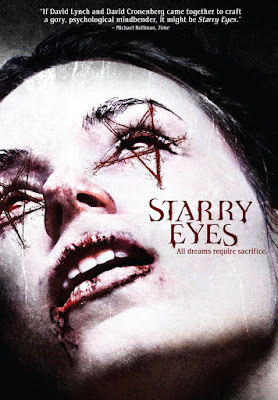 Starry Eyes surprised me for a number of reasons. 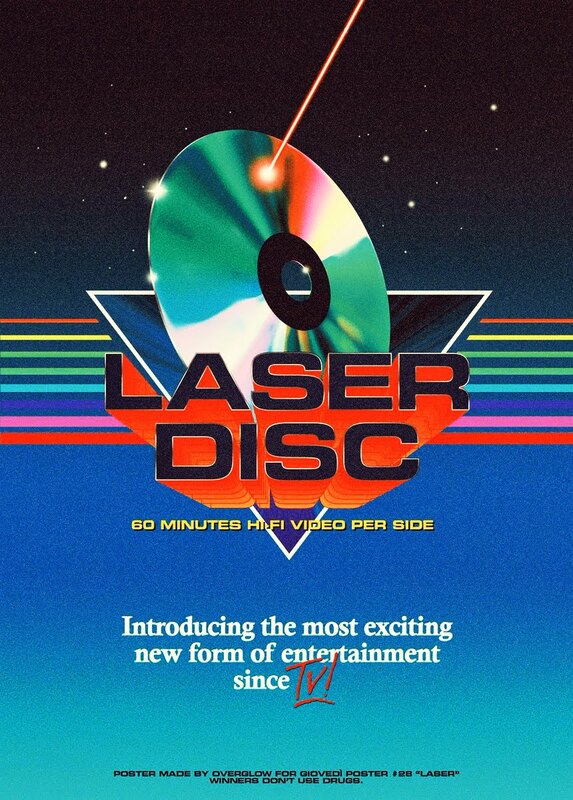 For one, it was much better than I expected it to be, and secondly, it provided some really top-notch touches on pretty much all fronts, offering up some a stellar performance from the lead, some great visuals, and a killer score riding on the wave of the 80's synth resurgence. A really great score I might add. I wasn't sure what to expect going into this, and I'm glad I went in blindly. This film went in directions I wasn't expecting, and the tonal shifts really threw me off, but in a good way. When it all comes together in the end, the "message" of the film is loud and clear, and though I wasn't quite sure what that message was while I was watching it, when you've had time to sit and process the images you've just seen, it's pretty obvious. I won't spoil anything for you by telling you what it's about or what it all means, but judging from the synopsis on any site you rent this from, you'll get a very "basic" rundown. All you really need to know is it's about a struggling actress who will do anything to hit it big. Lead actress Alex Essoe is a revelation. Watching her transform as the story progresses is sometimes unsettling, yet always a treat. Her ability to make you care for her, under some questionable circumstances, is a testament to her acting chops. There are moments here where she's just raw, emotionally and physically, and oftentimes, it was unnerving. I look forward to seeing more of what she has to offer in the future. Ultimately I enjoyed this way more than I expected to. A bit of a slow start only adds to it's purposeful tension-filled slow build-up to it's satisfying conclusion. It's an intimate film, made with passion and understanding of character development and story progression. Things happen for a reason, not just "because". I found myself thinking long and hard about what had just transpired, especially in the last act, and that's one of the things I liked most about Starry Eyes. It doesn't necessarily explain everything to you, which is a little refreshing to be honest. You have to think and use your brain. I don't think this will go down as a classic in the horror genre, but it's a damn good film regardless. On a technical level, it's made remarkably well. On a narrative one, it's better than you expect.